Showcase by the Sea, hosted by Globe, returns tomorrow for its third year featuring eight artists: Virgin EMI’s Marika Hackman and Dan Croll, Island’s Sigrid, Fiction’s Pumarosa, Decca’s Brian Deady, Polydor’s FREAK and Raye and Method’s Liv Dawson. 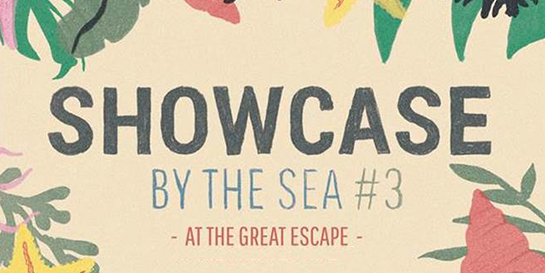 Keep up with what’s happening using the hashtag #showcasebythesea. Many of the performers on the Globe line up are also performing as part of the wider festival. Raye will be also be playing at Coalition Brighton tomorrow and at Wagner Hall today as part of Vevo's showcase. Label mate Stefflon Don will also be representing Polydor at the Vevo showcase on Saturday, whilst elsewhere, The Green Door Store host Frank Gamble today and FREAK on Saturday. There’s a solid showing from Virgin EMI with Girli also playing at Green Door Store tomorrow. Isaac Gracie plays the Communion showcase tomorrow evening and Stevie Parker plays One Church tonight and Prince Albert tomorrow. The Amazons are performing at The East Wing today. 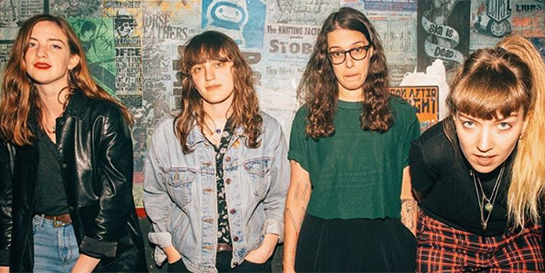 They’re in Brighton along with Fiction label-mates The Big Moon (appearing Saturday at Horatio’s) and Pumarosa (Saturday at Coalition). 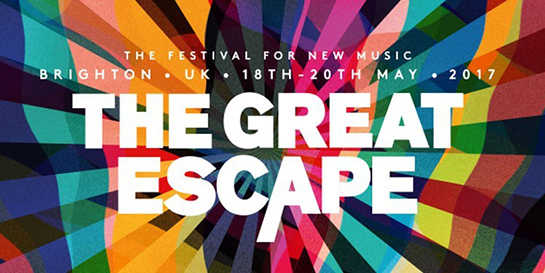 Acts from across the Universal roster have put in the miles to play The Great Escape, among them Finnish singer-songwriter ALMA (Virgin EMI), Irish pop-rock duo Picture This (Island), Danish dance trio Off Bloom (Polydor) and Dagny (Polydor) who will be representing her home country, Norway. Fellow Norwegian Sigrid will be playing at The Line of Best Fit's stage at the Coalition tonight and will be at Wagner Hall on Friday alongside her slot in the Globe showcase. Also performing from the Island roster is A$AP Rocky collaborator Joe Fox (tonight at Harbour Hotel), South London vocalist Cosima (tonight at Brighthelm Center) and synthpop band Sälen (tonight at Brighthelm Centre and tomorrow at Wagner Hall). Slaves have been named as one of this year’s Spotlight Acts. The duo will be playing an exclusive show tonight at Brighton Pier’s Horror Hotel. The pair performed for Vevo in 2015 and were named as one of the standout acts of the weekend. It’s not just our acts scheduled for the stages of Brighton. As part of the convention, Island’s Alex Boateng and Polydor’s Tasha Demi and Zeon Richards will be speaking at Urban Development’s Industry Takeover Seminar at The Old Court Room on Friday afternoon.